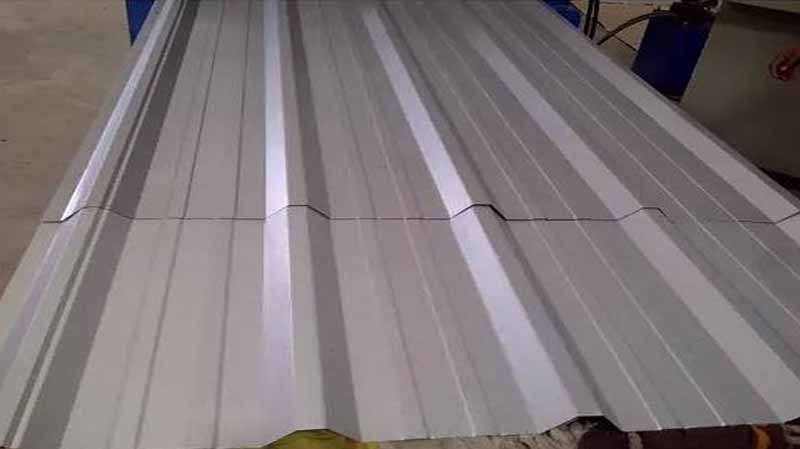 Prominent & Leading Wholesaler from Vadodara , we offer bare galvalume steel roofing sheet, galvalume sheet, silver painted galvalume sheet, painted galvalume sheet, bare galvalume sheet and color coated roofing sheet.. Being a quality cognizant firm we have repetitively modified to ensure our product range wins the heart of our ardent customers. We therefore are engaged in offering the prevalent assortment of Bare Galvalume Steel Roofing Sheet. Used for residential and non-residential applications, our Bare Galvalume Roofing Sheets popularity is growing amongst architects, contractors, and building owners because of its excellent corrosion resistance and strength of steel. Furthermore, this can be punched, pressed, rolled and joined into a limitless number of structural and decorative building products. We are appreciated for providing our clients with the best-in-class gamut of Bare Galvalume Roofing Sheet. Manufactured using premium quality required material; these offered products are admired for their sturdiness, resistance against water and dimensional stability. Furthermore, these presented products conform to the defined parameters of the industry, reflecting their high standards. Our valued clients can avail the offered products in different sizes as per their requirement. Trapezoidal Profiles are used for widely diverse applications. Due to Large range of geometric designs, they offer variety of architectural possibility. Trapezoidal Profiles are supplied not only in different section and thickness but also various lengths and required dimensions. This profile is suitable for Roof and Wall Panels. Trapezoidal Profiles is for industry or trade, Stadia, Cold Storage, Ware House, Airport Hanger, Railway station, Bus Stop, Under construction Building Boundaries & Architectural installation etc. Available Lengths Supplied in maximum length up to 12 mtrs.